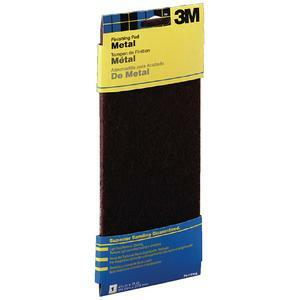 Designed for removing light rust and cleaning and brightening metal. Made from a tough, non-woven synthetic material that won't rust or splinter like steel wool. 4-3/8" x 11". Sold in case pack of 10 only.